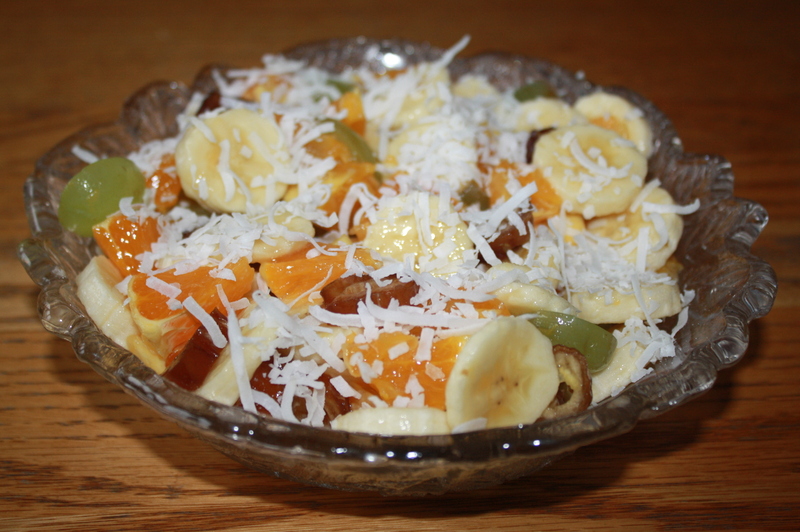 This morning for breakfast I made Ambrosia Salad pg. 148. It was quite yummy. I wasn’t sure if I would like it because of the coconut but I really did. I would definitely like to make it again sometime soon. Peel and slice bananas, peel and dice oranges, chop dates, half and add grapes, sprinkle with lemon juice and chill. To serve sprinkle with coconut. 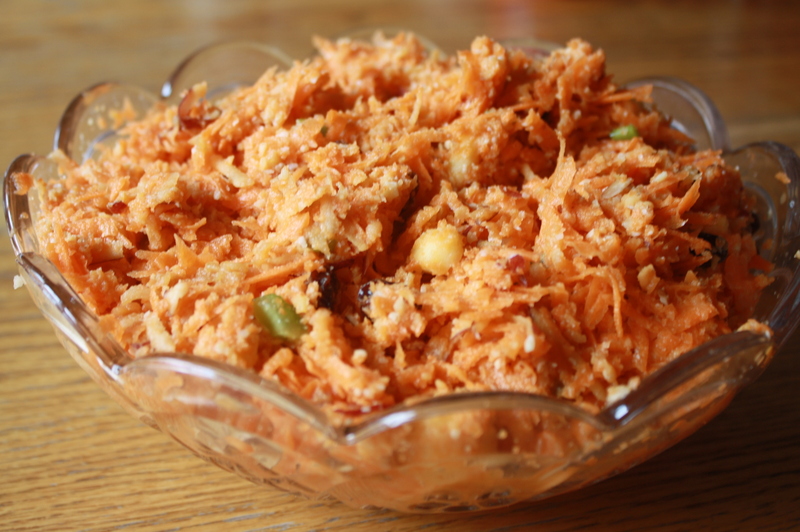 I also tried Sunshine Carrot Salad pg. 154 That was okay. It was mainly carrots. To make the dressing they gave the option of using either water or apple juice with the other ingredients. I chose water but wished I would have chosen apple juice. Thought you might be interested in seeing a testimony from someone who was on the Hallelujah diet. I love your photos! They make me really want to try these recipes myself. Have you thought about getting a countdown clock like Julie had on her blog? That might be fun to watch! The testimony was inspiring. That lifestyle change is so hard to make. I”m going to go look for that cookbook now. Thanks for the comment! I would love to get a countdown clock but it isn’t included with WordPress. I’m a little nervous about doing something from another website and it possibly causing problems. Any suggestions?